Richard specializes in 2 hour trips for children to Dry Run Creek. His rates are $100 for two hours. All equipment is furnished and kids do not need a fishing license. Richard is an experienced fly tier and has been guiding Dry Run Creek for several years. 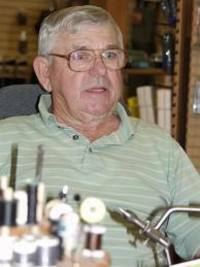 Richard also ties specialized flies known as "Norfork Emergers". Available exclusively at Two Rivers Fly Shop.